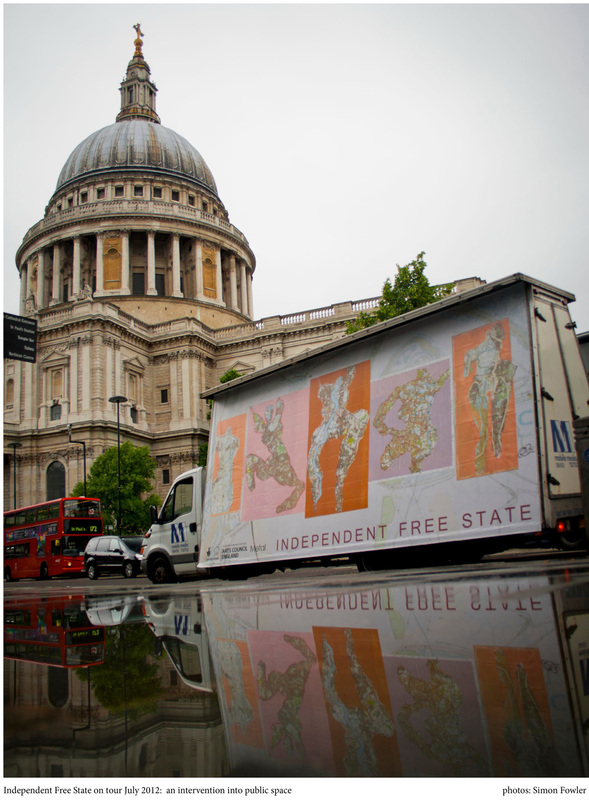 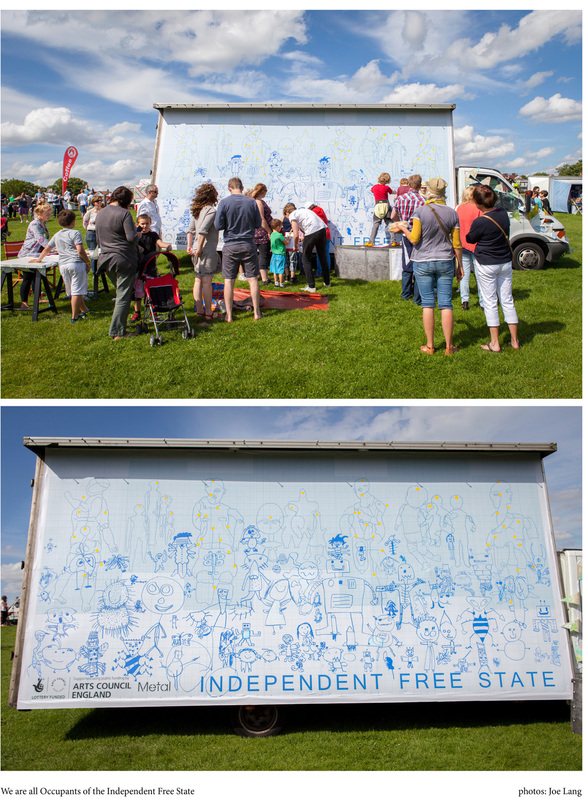 The Independent Free State was a drawing-based ‘campaign for imaginative space’ funded by the Arts Council and Metal. 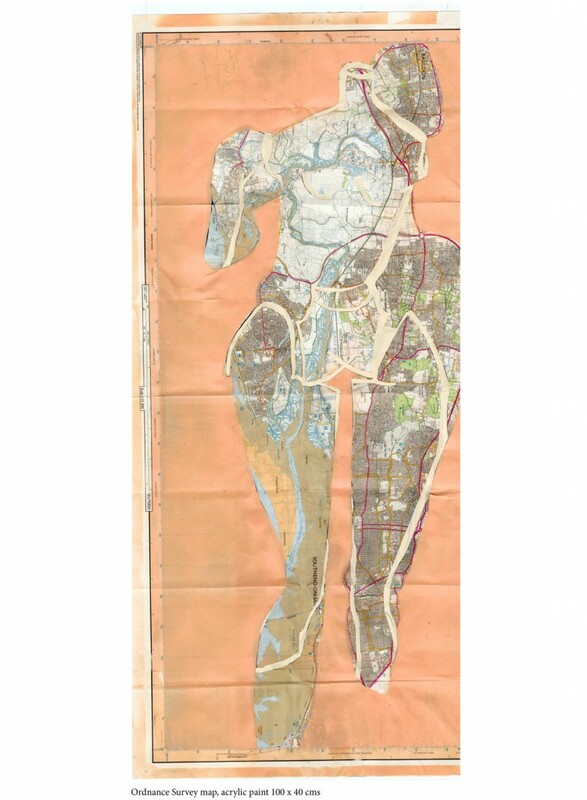 I consider this ‘imaginative space’ as an unstructured, subversive space: it is a blueprint, an imaginative possibility, a site for transformation. 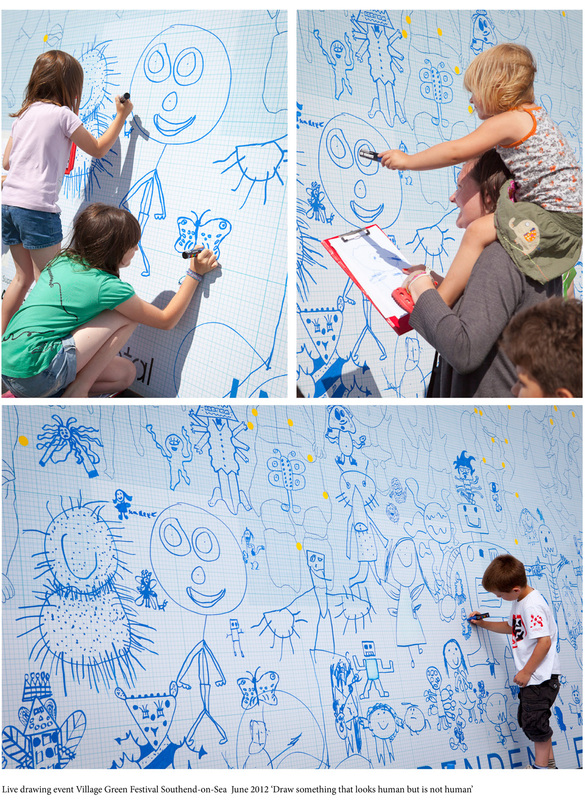 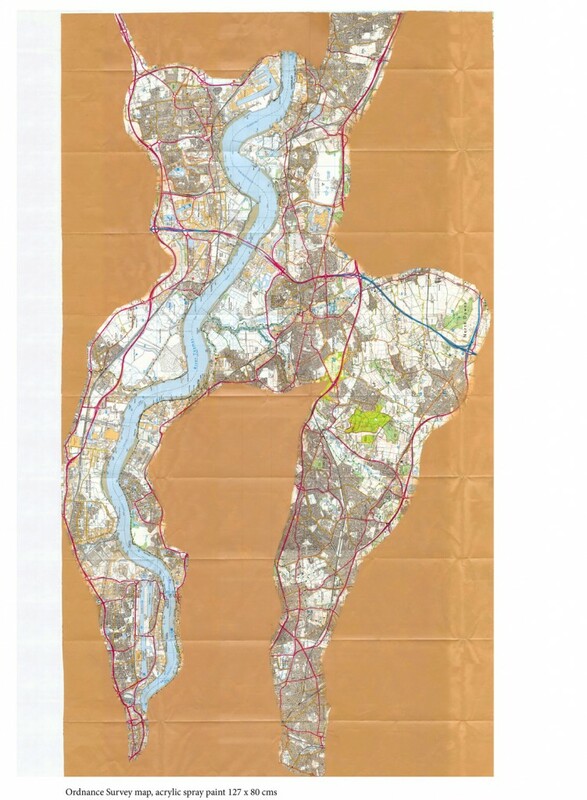 The project took place during the London 2012 Olympic Games. 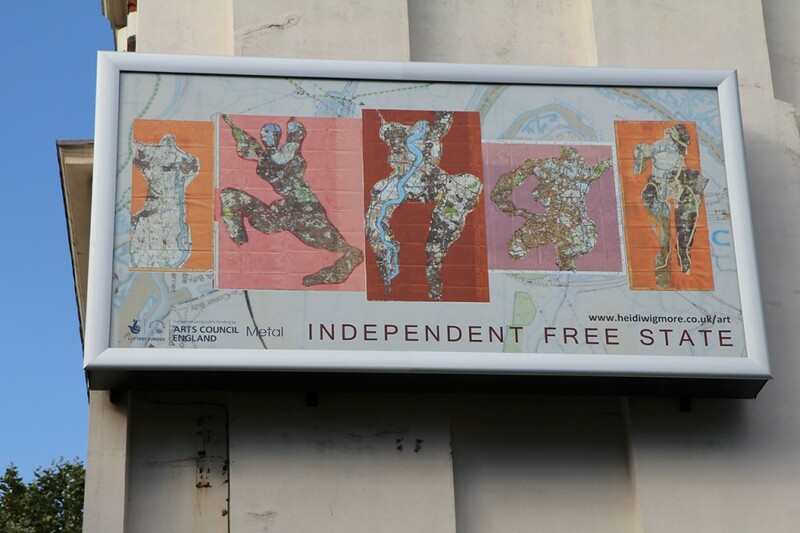 The cry for a state of independence is universal, political and deeply personal: it takes courage to try and find your site of freedom, it is not a safe endeavour. 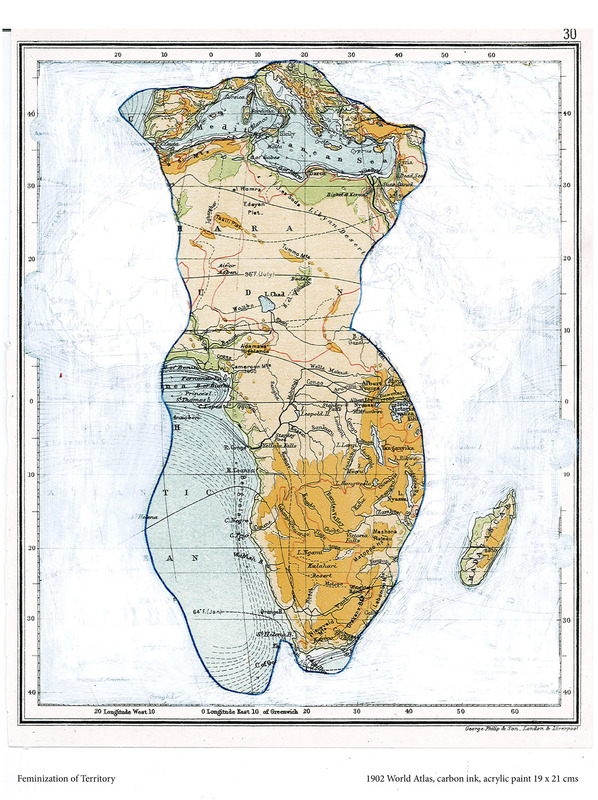 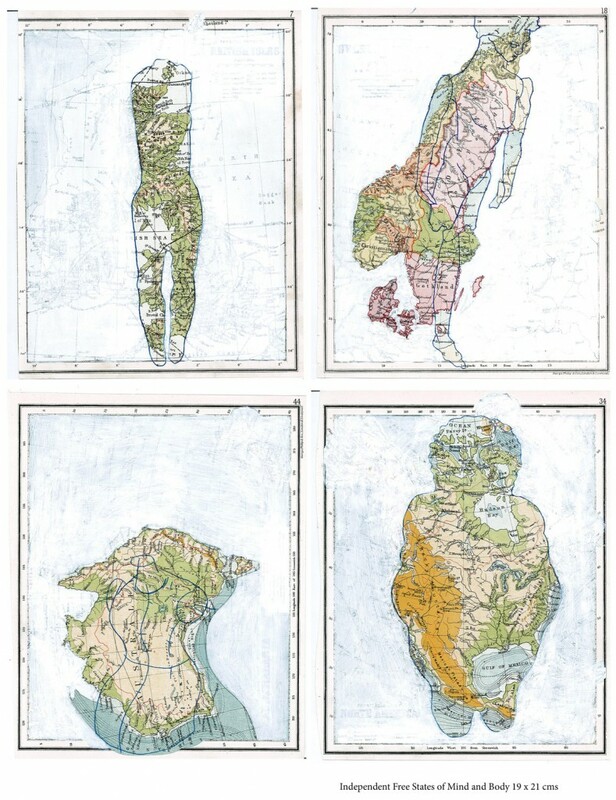 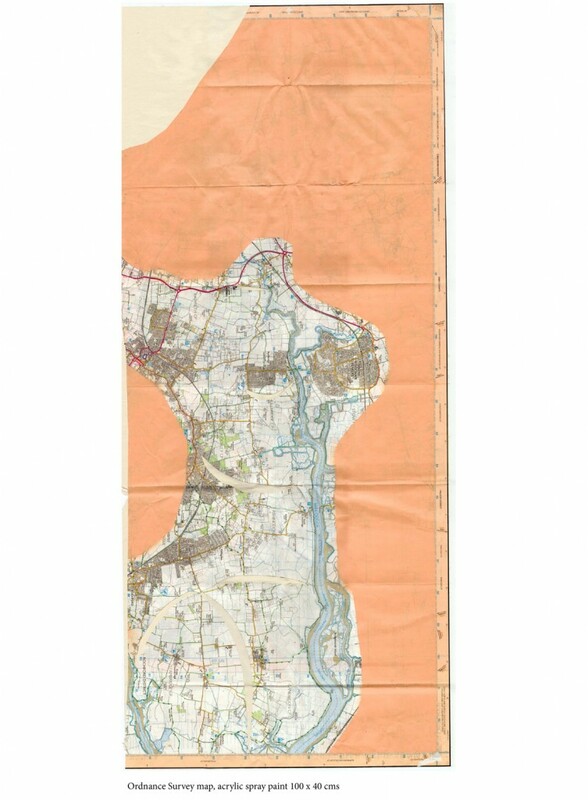 Map and woman become one, female ownership of land, property, children, of her own body is perhaps a modern concept: territory of her own. Though her body has always been ‘of the landscape’ – a place of discovery, and endeavour, an unknown territory to be taken, a place ot ‘stake your claim’. 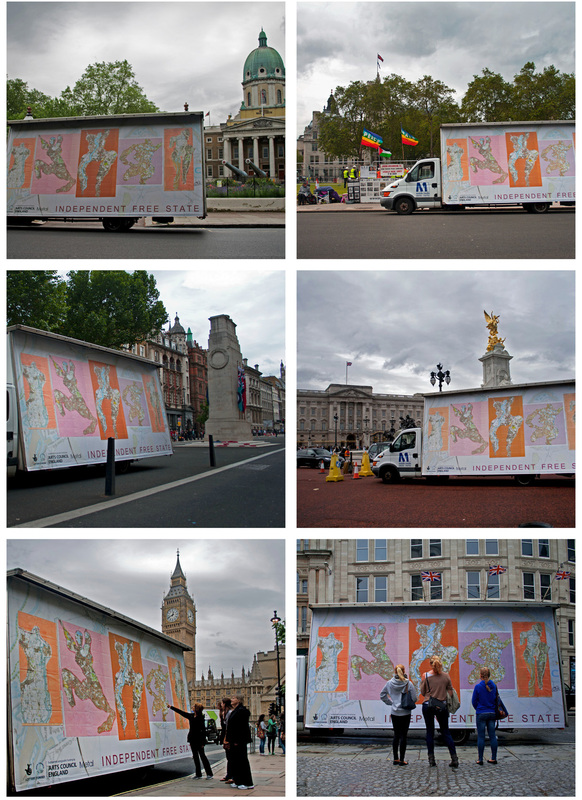 The project encompassed a back-lit billboard displayed on the side of a building on the Blackfriars Road in central London, a mobile ‘advan’ that toured major London sites for three days, a series of ‘faux’ public art ‘Planning Proposals’ displayed in various public sites, a live drawing event at Village Green arts festival Southend-on-Sea and an edition of 500 printed newspapers that documented the entire project and have been ‘guerilla-distributed’ around galleries in London, Southend, Liverpool and Cambridge.